If have lost weight and want to sell your weight loss story and shout it from the rooftops, then you’ve come to the right place. An inspiring weight loss story has always been a favourite with editors and readers, and over the years, we’ve sold dozens of weight loss stories to the press. Between them, the people whose stories we’ve sold have lost 100s of stones of weight. Why would I sell my weight loss story? There are a huge number of reasons people think ‘I’d like to sell my story.’ When it comes to weight loss stories, most people are really proud of themselves for having lost weight and would like to show others they can lose weight too. 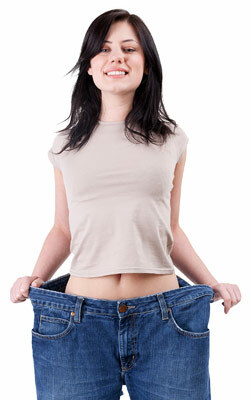 Do you earn money when you sell your weight loss story? Yes you will. Our job is to negotiate you the best fee for your weight loss story. Our service is free (we are paid directly by the magazines and newspapers for writing and supplying content. Our agency provided up to 20% of all daily print news in the major national publications). Does it matter how much weight I have lost when I sell a weight loss story? Whilst we have been in touch with some of people who have lost the most weight in the UK, we also sell stories with people who have lost four or five stone. The main thing is that in order to sell your weight loss story, you’ll need photos of yourself that illustrate your weight loss. It’s ideal if these photos are full length photos and of good quality. What happens after I sent my before and after photos to you? One of our trained writers will give you a call to find out a little more information about your story. What started your journey, how you achieved your goals, and how you feel now, etc. We will then pitch your story to the national magazines and newspapers to find out who is willing to pay you the most for your story. Once you’re happy with the offer, we’ll write up your story in the style of the publication, then read the story back to you to ensure you’re happy. We ensure that your story is told your way. Once the story is published the payment will be sent you your bank account. Get in touch to find out how to sell your weight loss story by completing the ‘Story Valuation’ form on this page, or emailing us on m[email protected]; just provide the basic details of your weight loss story so that we have a brief outline. Nothing will be used without your permission (everything you send us is confidential until you tell us otherwise).